It is undoubtedly a wonderful time to enjoy wine on the Central Coast, as is always – really. With Paso Robles wine tours and their Edna Valley counterparts highlighting the weekends of tourists and residents alike, there is great diversity in the crowd you’ll see while out tasting. One thing that is ubiquitous to region, group, or winery is a fun-loving spirit. Some tasting rooms emphasize this by putting games out for guests, and we’re here to tell you about our favorites! Soak up the sun during summer with vineyard views and corn hole. Not keen on this winery game? Pet their pup, Blue, and bring your furry friends along as well. Their mantra is to let your pups do a little water tasting while you go wine tasting! Fear not if it’s raining, these rolling hills are still beautiful covered in light fog as you stay cozy in their quaint tasting room. 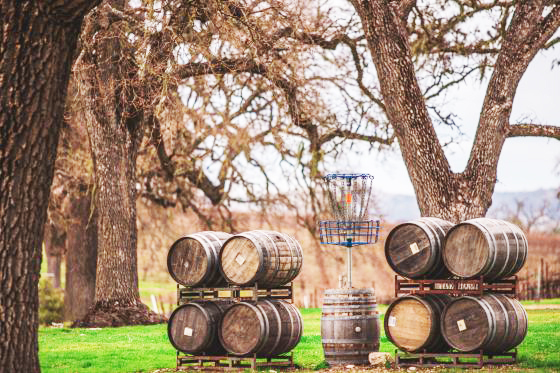 Not just a tasting room, this hot spot also features a state of the art facility with a premier 18-hole disc golf course. Do we need to say more? Their course is suitable for all levels, and is free to wine club members! Catch the Whale Rock Music Festival for live tunes, divine wine, yoga, and more! Stainless steel fermentation tanks for limited production wines will have to settle for being the second best attribute of this beautiful tasting room. Hands-down, the most unique outdoor experience award goes to Bianchi and their waterfall-fed lake to race remote controlled sailboats on! Challenge your opponent to a game of chess, ping pong, foosball, or bocce ball before taking a walk in the sculpture garden. Easily the region’s largest selection of the fine outdoor games, you may find yourself spending more than just an hour here. Enjoy a wine tasting and discover a new style of art. Book your next Wine Tour in Paso Robles! One of the prettiest views for a wine tour in San Luis Obispo is on the lawn of Baileyana, notorious for marriage proposals and picnics. If you’re more into action, take in the views from one of the two bocce ball courts. If neither of those suit your fancy, we challenge you to make your own game of finding the numerous jack rabbits and goats that help keep this vineyard and the surrounding ecosystem healthy. Whether it’s sunny or rainy, these views never get old – and neither does the wine. 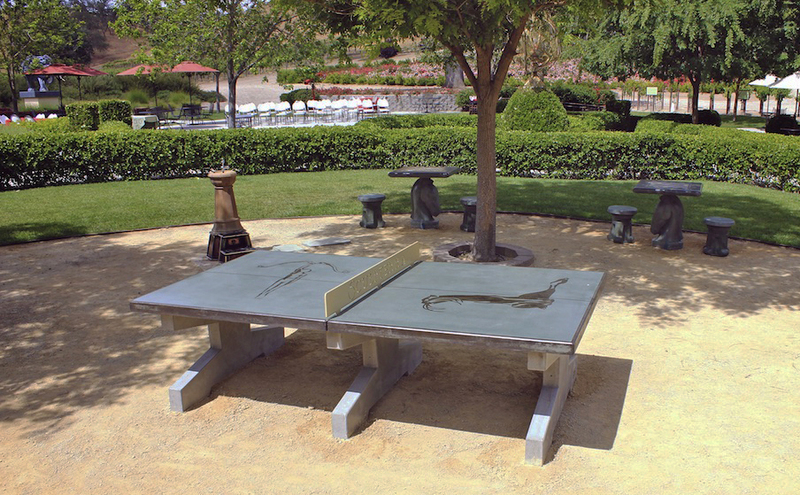 This is the ultimate San Luis Obispo winery to play corn hole at. With a beautiful drive on Lopez Drive, this winery is set outside of reality. An outdoor area lined with colorful flowers, this is the ultimate winery to enjoy a Central Coast summer. Additionally, they just launched a sister brand and tasting “room” down the street— For a trendy and hipster experience, sip Rose all day on tap in a beautifully decorated Airstream trailer – Malene Scene! It’s not a winery, it’s a lifestyle. Take a twisted turn into Avila for a change in scenery. Kelsey See Canyon offers delicious cider for a change in taste, and the unexpected – peacocks. These feathered beauties spend their afternoons lining the vineyard, singing and strutting around. 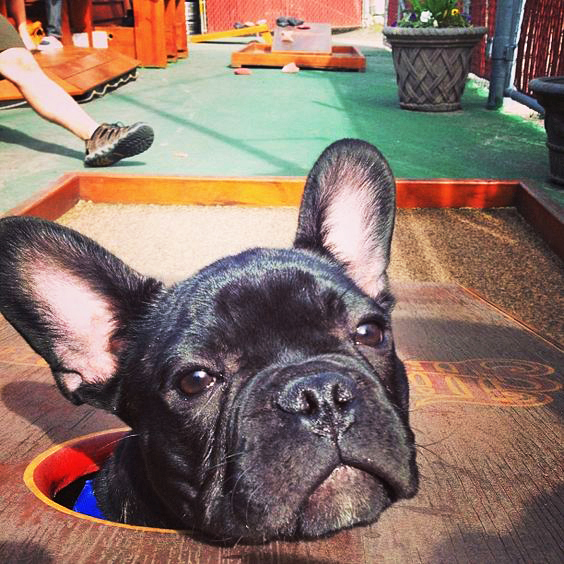 Their wooden stage is usually being used by talented artists and bands – and sometimes their dogs too! Sip cider and explore Avila Beach when you’re done! Rain or shine, there’s always great wine around. Book your next Wine Tour in San Luis Obispo!